Adenosine Tri-phosphate (ATP) is a molecule which stores the energy that the body needs for a wide variety of functions. The breakdown of ATP releases energy which is then used as fuel for all our bodily functions, from DNA replication and skin regeneration to muscle contraction and collagen synthesis. Bio-essence V Face Series, enriched with ATP and combination of exclusive ingredients Bio Energy Fluid and Bio Mineral Essence, have double the effects to provide and communicate energy to skin cells. ATP improves micro-circulation, effectively renewing and repairing skin, hence restores suppleness, radiance, firmness and a youthful V shape to your skin. Removing dead skin is the first step to beautiful, healthy and younger looking skin. The accumulation of dead skin leads to multiple skin care problems; dead skin can clog pores, causing enlarged pores, blackheads and whiteheads. It also prevents the skin from absorbing moisture leading to dull, rough and oily skin. 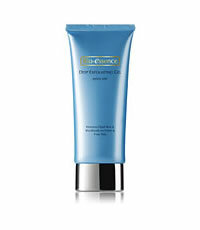 Bio-essence Deep Exfoliating Gel with ATP helps to slough off dead skin cells immediately to reveal a new layer of fairer, smoother and much cleaner looking skin. Powered with the efficacies of ATP (Adenosine Triphosphate) and Bio Energy ingredients, it improves skin metabolism for firmer skin while lightening pigmentation at the same time. This entry was posted in 1 and tagged BIO ESSENCE EXFOLIATING GEL, Fr3b, Fr3b Singapore’s 1st Sampling Concept Store, Fr3b.com, free beauty samples, Free giveaways, free samples, freebies, S’pores 1st Sampling Concept Store, singapore free beauty samples, singapore’s 1st online sampling platform More stats. Bookmark the permalink.